NASA’s InSight spacecraft landed on Mars Monday afternoon, finishing one journey — through space — and now launching on another: to go deeper into Mars. In this frame grab taken from NASA TV on Nov. 26, 2018, debris is seen on the lens in the first image from NASA’s InSight lander after it touched down on the surface of Mars. “It was tense, you could feel the emotion. It was celebratory with every new information we received,” NASA administrator Jim Bridenstine said on a NASA livestream. He said he received a call on his cellphone from a number that was “all zeroes” seconds after the landing. It was Vice President Mike Pence. Pence is chairman of the National Space Council and promotes President Trump’s “Space Force” plan for a branch of the military in outer space. This NASA illustration shows a simulated view of NASA’s InSight lander firing retrorockets to slow down as it descends toward the surface of Mars. Dressed in maroon button-down shirts, scientists and engineers at NASA’s Jet Propulsion Lab in Pasadena, California, could be seen cheering, clapping and hugging after the daring landing. The trip that started seven months and more than 300 million miles ago ended in an anxiety-filled but ultimately smooth last six minutes of entry, descent and landing onto the Martian surface. Jars of peanuts, a good luck token at JPL, were seen throughout the room. “Flawless. This is what we hoped and imagined in our minds’ eye. It looked like it was a very successful and perfect landing,” Rob Manning, JPL’s chief engineer, said minutes after the probe landed. 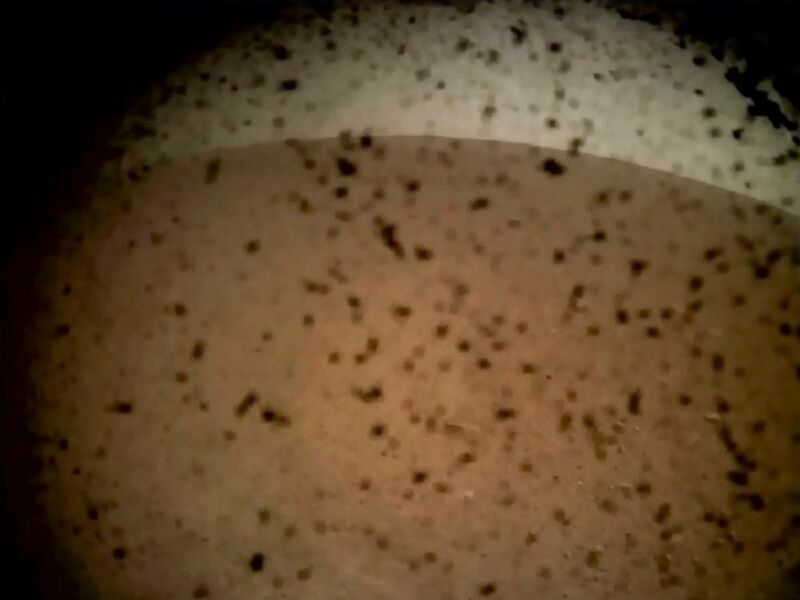 InSight will open its solar panels after it waits for dust to literally clear about four hours after the lander guided itself onto Martian soil. The last several minutes were fraught with anxiety, as technicians braced for any possible scenario. For example, before the parachute deployed, portions of the heat shield became as hot as 3,000 degrees Fahrenheit. 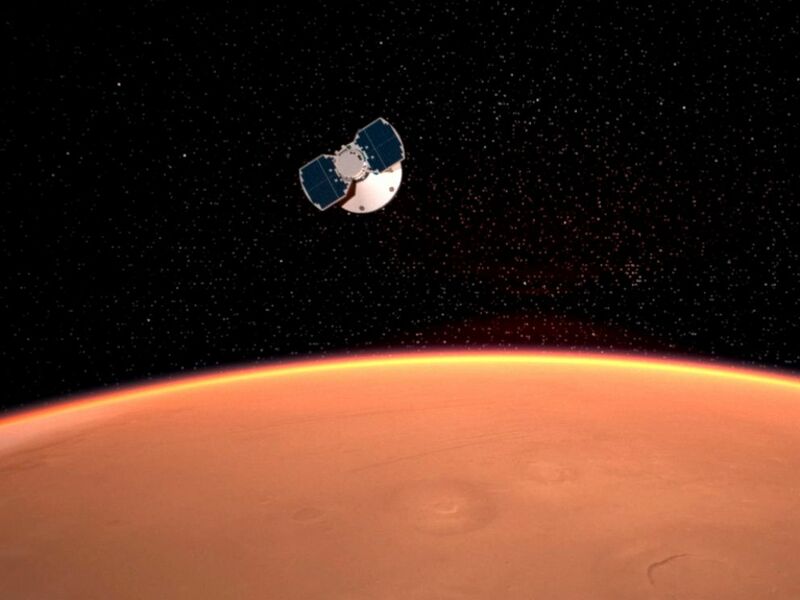 An artist’s concept released by NASA illustrates the InSight spacecraft approaching Mars. 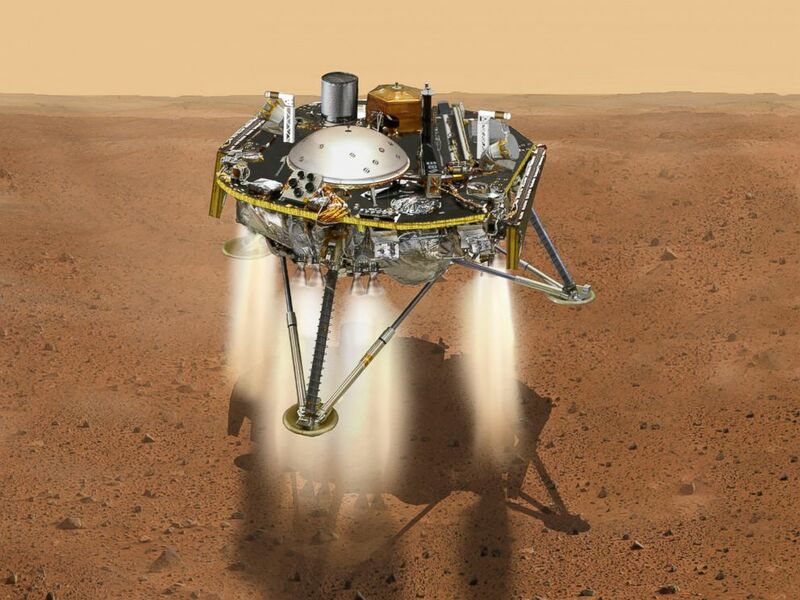 InSight marks the first attempt since 2012 for an American spacecraft to visit the red planet. 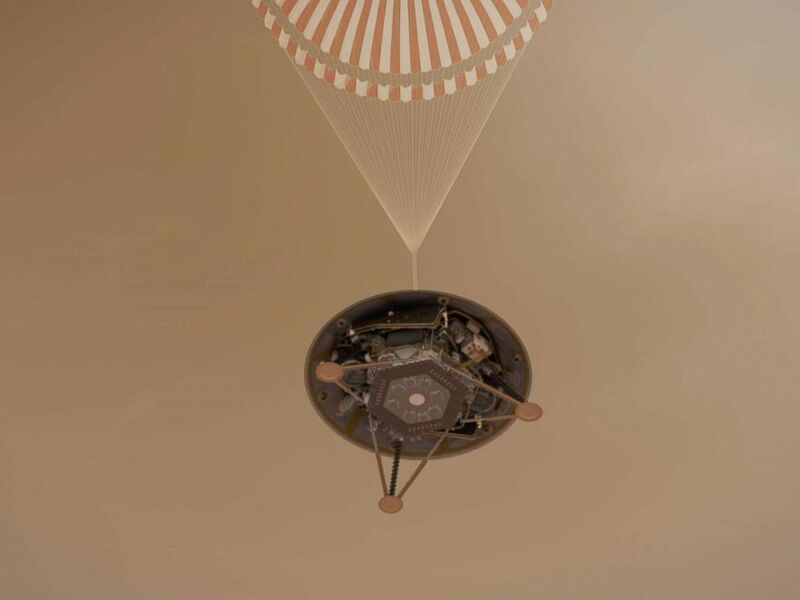 An undated handout illustration made available by NASA shows a simulated view of NASA’s InSight lander descending towards the surface of Mars on its parachute. NASA scientists took nothing for granted. On Sunday at 4:47 p.m. ET, engineers were still correcting course “to steer the spacecraft within a few kilometers of its targeted entry point over Mars,” NASA said. The monitoring and adjustments to InSight’s path continued until the last minute. 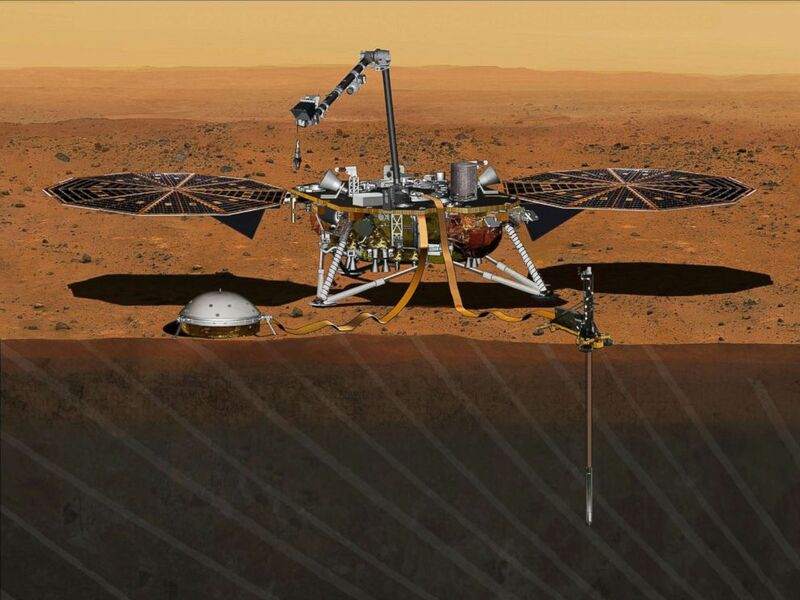 The NASA Martian lander InSight dedicated to investigating the deep interior of Mars is seen in an undated artist’s rendering.